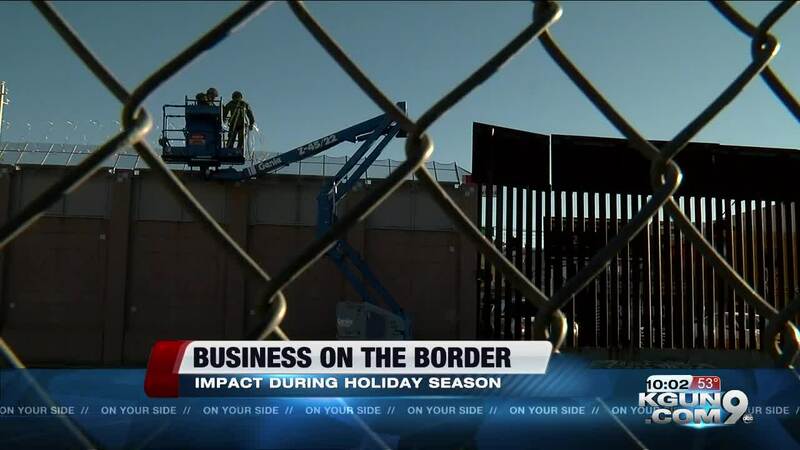 NOGALES, AZ — Over the last several years many business owners in Nogales say they've seen their sales significantly decline. Owner of David's Western Wear, David Moore, says he's been making custom cowboy boots by hand for more than three decades. He says over the last several years he has seen a decline in the amount of people who come shop inside his store. "The big companies have all gone into Mexico. You know, there's Walmart and Kmart, there's every US fast food restaurant in the country down there now." Moore also says the current situation on the border is also responsible for people not wanting to cross. "Every time they talk about closing the border, every time they slow down the lines coming across…say a customer comes down from Hermosillo, they spend two-and-a-half hours to get to Nogales and three hours to cross, it doesn't make a lot of sense for them to come up." In the middle of holiday shopping season, businesses like David's Western Wear are closing their doors every day, wishing there were more people coming in.